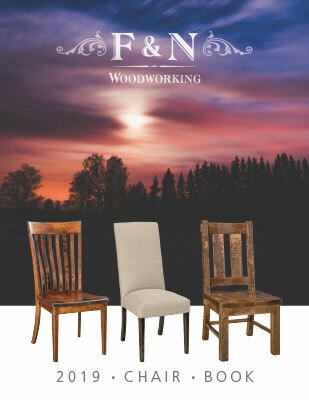 An innovator of hardwood chair design, F&N Woodworking began manufacturing chairs in 1995. Started by Freeman Miller, this family owned and operated business has pioneered its way to bringing its customers a wide range of styles with an emphasis on comfort, quality materials and superior Amish craftsmanship. With a second generation of family now involved, F&N is committed to many years of leadership in design, manufacture and customer satisfaction.